Sue and I have a granddaughter who will be starting high school next year and wants to be a cosmologist when she graduates. She has no desire to go to college but would rather learn the skills to make a living in this area. The guidance counselor was talking to her and said that she had to prove this was a serious goal and not just something she wants to study for fun. It seems the school system in which she is enrolled has a technical career path in that discipline, but only allows seven students to participate in the program. It will entail busing from her school two to three times a week to another school which offers the training she needs. When listening to her talk about it, it reminded me of a program I want to remember being called "diversified education" which was offered at Lee when we were attending there. Since I never really participated in the program I have few memories of how it was actually administered, but I seem to remember "hair dressing" being one of the tracks offered - but I may be wrong. As for me, I got my own version of technical training in newspaper operation by my four years working on the school paper "Lee's Traveller." Although it was not a sanctioned career education path, it provided me with many of the skill sets I would later use as I worked toward my degree in journalism at Memphis State University. During the sixth period of each school day I would assemble with my fellow newspaper staff and under the direction of Mrs. Parks we worked on producing a school paper for the rest of our classmates. Looking back upon those days I now realize we could have taken the responsibility with a lot more professionalism, we still got a lot of training and discipline ingrained into our developing minds. Of all the skills I learned, the most memorable one is one which became a requirement in many of my professional jobs coming later in my life. That skill, or requirement, was how to set and meet a deadline. Not only did this skill be invaluable in my newspaper studies, it became mandatory in my military career. One of the biggest problems I had in adjusting to working in an academic world was dealing with people who neither knew or seemed to care how to set and meet a deadline for any project. So, in my own way, I feel I did benefit from a program similar to being in a diversified education track. I have difficulty in persuading many of you to participate in sharing your memories with the rest of the Lee's Traveller readers, I will once again reach out to see if any of you will take the time to either add to my memories of the DE program, or inform me I am out in left field about this memory. Did you get out of school early some days to go somewhere and work and learn the skills? Did you get paid for doing so? 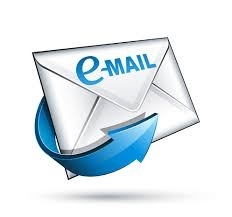 So, please ... if you can add any valuable content to this subject, will you email me at tommytowery@gmail.com and share your information with me? Memphis, TN - Changed the features a bit this week to give those of you who don't relate to the musical memories a little break. I still have not had a response to the name of the classmate who died in the last month, but I am sure sometime soon we will find out. Less than 40 years have passed and I am astonished to see how the times have changed since my father bought this knife for me as just a small boy. I do still have it, which by today’s standards is an anomaly. I’ll leave the discussion of our throwaway culture for another time. Yes, this pocket knife has witnessed many changes in our society. Technology, communication, transportation, and even education have dramatically changed from the way it was just a generation ago. My pocket knife and I are neither quite certain if all the changes have been for the good. When I look across the landscape of America and take note of the differences, the greatest change that I see is in the people themselves. Growing up in rural Northeast Alabama in the foothills of the Appalachians, I was privileged to catch the tale end of what was an era marked by ruggedness and self-sufficiency. I grew up around men that were willing to fix what was broken and take the time to do it right. My father was a Vietnam veteran and the product of growing up farming the hills of these same mountains where I was raised. He always carried a small pocket knife much like the one pictured. He had an affinity for Case knives, but would carry the occasional “Old timer” or “Buck” or even “Schrade”. One thing was for sure, that he had one with him, wherever he was. You could also be pretty sure that his pocket knife would be so sharp that if you were to stare at it too long your eyeballs would bleed. Now that's pretty sharp.... The pocket knife was an important part of his life. Whether it was to slice a freshly picked apple, or to cut some twine, (coincidentally twine can patch most any broken farm implement until you can get home) he was always prepared. At Christmas time, my father always had his knife waiting to help open those pesky gifts that needed cutting open as only a father can do best. My father was not the only man in my young life that I watched wield his trusty 3 bladed pocket knife as if it was a surgeon's scalpel. My uncles, my friend’s dads, my bosses, they all carried pocket knives. I watched. I learned. I saw a resourcefulness in the these men, that is seldom seen today. For my father and so many others of a generation gone by, a pocket knife was an essential tool for daily life. 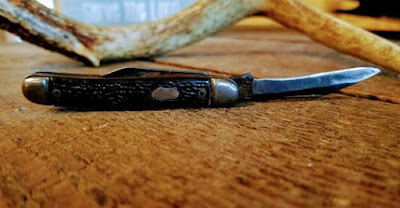 The men who carry pocket knives are hardworking, do it yourselfer types, who were raised to rely on themselves and be prepared in nearly every situation. I have seen a pocket knife start a tractor, remove a splinter, slice a watermelon, carve a toy, and open a can. They have been used to clean wild game, cut gum/tar out of hair, sharpen a pencil, cutting fishing bait, and teaching responsibility. The list goes on and on. 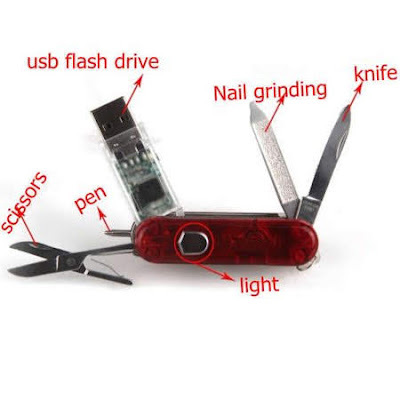 The uses of the pocket knife are as varied and strong as the men who use them. I adopted this tool at a very early age as one that would always be at my side. A pocket knife has always been a part of who I am. So much so that I was almost offended when I would encounter a grown man who didn’t have one in his own pocket. I took it upon myself in my 20’s to start gifting knives. Sometimes to random strangers, sometimes to close friends. The conversation would generally start by asking if I could borrow someone’s knife, knowing full well that I had 2 in my own pocket. If the answer was a proud “why sure”, then I would gladly take the knife and inspect it for its level of wear as an indicator of how much work it had actually seen. Often paying a simple compliment as I return the knife. If the answer was that they didn’t have a knife to let me borrow, I would quickly reach into my pocket and deliver one to their hand along with a reference to the fact that every man should carry a knife. To date, I have given out somewhere north of 300 knives. So, who are the kind of men who carry pocket knives today? They are typically utilitarian. They are the type of men who work hard for a living, fix what is broken, and stand fearless in the face of world full of evil. To put it simply, they are the type of men that I feel this world needs more of. If you find yourself in a tight spot and need some help, just ask the guy with the pocket knife. Although they are few are far between these days, chances are he can and will be able to lend a hand. Subject: NO Mail this week.